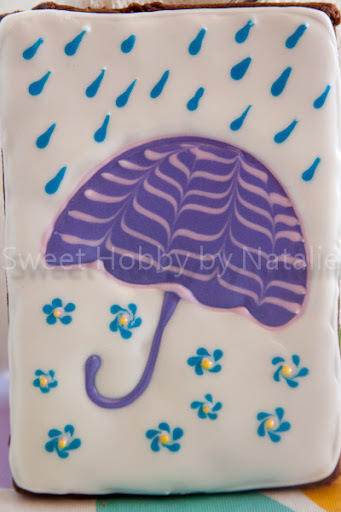 So I have joined a group on Flikr where a bunch of cookie decorates can upload a picture of a cookie they have decorated for that months theme that is chosen by the moderator Bea with Cancun Cookies. April's theme was April showers bring May flowers. This is what I came up with.